The samples are collected during the day and brought into the laboratory at the end of the workday. 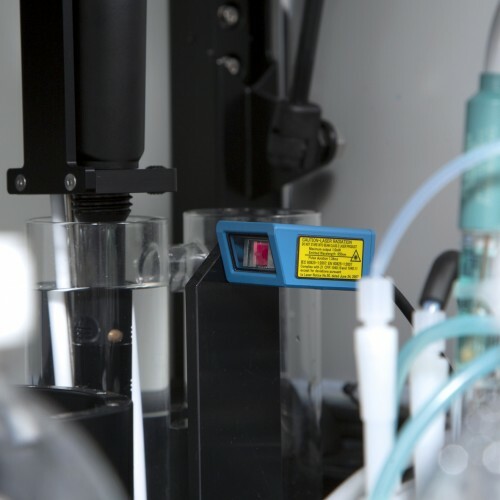 Overnight, the sample collection bottles are directly loaded on two SP2000 platforms. This avoids any additional manual sample handling, enabling the laboratory to use the same bottles throughout its entire process. A sample table is created and the analyzer is started. The first sample bottle is picked up and transferred to the decapping device. The barcode on the bottle is scanned to check the sample ID and to obtain the analysis parameters, which need to be executed on this sample. The bottle is decapped immediately followed by oxygen measurement. After mixing, a predefined amount of sample is dispensed in the first titration vessel. The pH is measured before the alkalinity titration starts. The sample bottle is closed and transferred back to the sample rack. The second sample is picked up and the complete procedure is repeated. For optimum sample throughput the alkalinity titration of this sample is performed in a second titration vessel. In between measurements, the titration vessels, stirrers, probes, tubing, flow through cells and pipetting needles are rinsed to avoid any carry over. Results are displayed on a screen and can be printed or exported to a LIMS system and other external software packages. 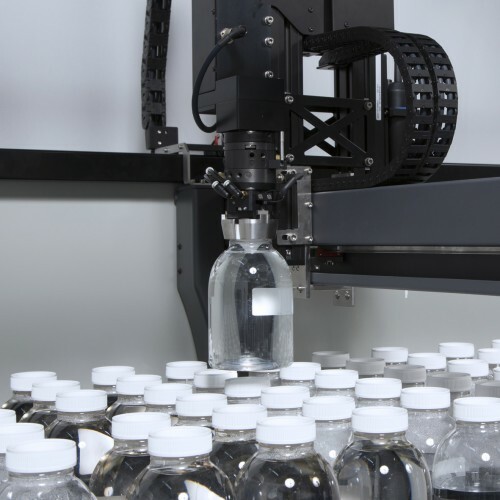 The SP2000 robot offers water laboratories a complete “walk-away” concept. The robot is developed for usage with the original sample collection bottles and the analysis is automatically performed by scanning the barcode on this sample collection bottle.